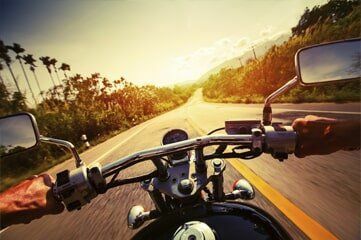 Motorcycle Insurance: Choosing the right insurance policy is much like choosing the right bike. You want it to fit your needs and lifestyle, but at the same time be within your budget. Although most states require you to carry a minimum amount of liability coverage, other types of coverage are usually optional. Check with us to learn which laws apply in Colorado. 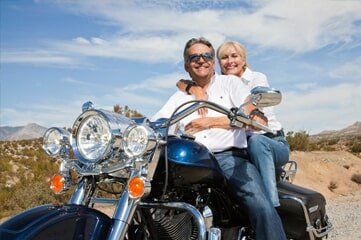 L.A. Insurance offers coverage for custom or classic motorcycles, touring bikes, sport bikes,cruisers, trike conversions, imports and scooters. Don't want to wear your helmet? We got you covered! Want OEM parts for your Harley? We got you covered! Off-Road Vehicle/ATV Insurance: Coverage available for off-road vehicles such as dirt bikes, dune buggies, golf carts, ATVs (3-, 4- and 6-wheel). The new L.A. Insurance off-road vehicle program has been developed to help you enjoy every trip off the beaten path. RV Insurance: Your policy will have you covered for Class A, B and C motor homes, all types of personal-use RVs, luxury motor coaches and vintage motor homes. *Coverage is also available for motor homes used as full-time residences. Serving: Arvada, Aurora, Boulder, Brighton, Colorado Springs, Denver, Fort Collins, Fountain, Golden, Greeley, Highlands Ranch, Englewood, Lakewood, Littleton, Longmont, Loveland, Parker, Pueblo, Thornton, Northglenn, Federal Heights, Castle Rock, and Westminster. Give us a call today!